Sometimes We All Need To Puppy Up! I haven’t been very good about keeping up with my blog lately. I know I should be more consistent, but I’ve been really busy trying to organize the Seattle 2 Million Dogs Inaugural Puppy Up! Walk that ‘s coming up on November 7th. This means that all sorts of things had to be placed on the back burner, including my business, Tiny Growl. But that’s OK, since a big part of starting my company was to establish a means to allow me to be able to donate to animal welfare charities. One thing that I never ignore, is my Dog Riley. He keeps me sane, he keeps me exercised, he gives me unconditional love and he makes me happy, even on gloomy grey and rainy Seattle days. He always lets me know when it’s time to get away from the computer and take him for his walk. Even if I’m not paying attention to the time, he is. At some point in the afternoon, he will turn up by my side and quietly “woof” until I realize that somehow, I’ve been sitting in the same spot for hours and it’s already past 3PM. Aside from being a “glass half full” kind of person (I work at being better, but it’s hard to fight what’s in your genes) I’m also a little bit superstitious, in completely random ways. For instance, Riley has a couple fatty lumps that he’s developed in his 8-something years. They aren’t even visible, but I know where they are, and so does his vet. They are nothing serious, and pretty common in dogs ‘of a certain age’. But last week, when I took him to the vet to check out a new lump about the size of a grape that I found at the top of his front leg, I had to wonder if this one would be different, since I had immersed myself into the world of canine cancer research. Crazy thinking, right? Maybe so. Well, the vet thought that since this lump didn’t feel quite the same as the others, he should do a needle aspiration to check it out. He told me that he didn’t think it was anything to worry about, but just to be sure he would look at it in his lab. So, I got back to work and tried to put it out of my mind. Yeah, right. But somehow I made it through to the next day. When the vet eventually called with the results, it wasn’t exactly what I wanted to hear. Apparently, he had found some “extra cellular material” in with the fat, and wanted to send the sample to an outside lab with a little more expertise. Again, he told me he still didn’t think it was anything to worry about. Ok, sure. Needless to say, the next 24 hours were really rough for me. 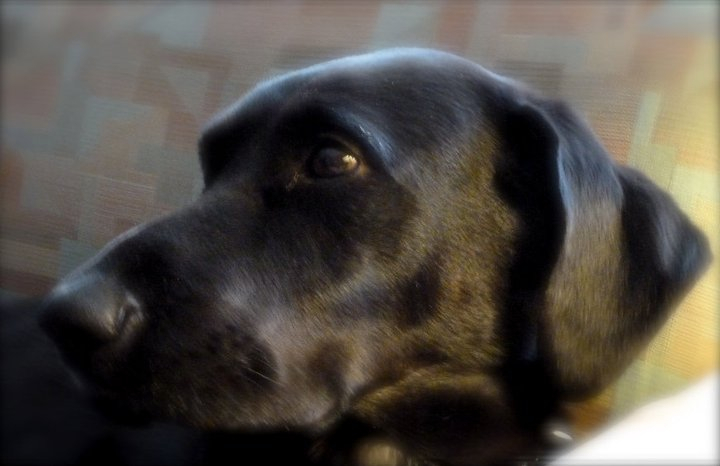 It’s hard enough watching my wonderful dog slow down and turn grey in the face, but the idea of a serious illness wasn’t something that I felt I was ready to hear just at the moment. Thankfully however, the second test came back negative and I breathed a huge sigh of relief. I put my work on hold for a few hours and took Riley for a nice long walk on the beach. We were lucky this time. Many thousands of dogs and people are not so lucky everyday. Luke Robinson’s walk from Austin to Boston was inspired by the loss of his dog Malcolm to metastatic bone cancer. 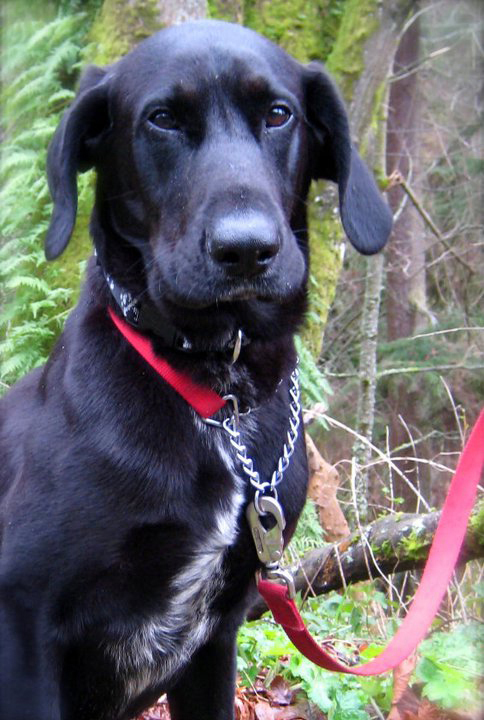 In a painfully ironic twist, after walking 2300 miles, the handsome Murphy has been diagnosed with adenocarcinoma. It’s hard to believe that we’ve entered a new century with the scourge of cancer still lurking in the shadows. With that in mind, I’m happy to dedicate the next five weeks of my life to trying to raise awareness about canine cancer and comparative oncology research as the City Leader of the 2 Million Dogs Puppy Up! Walk for the city of Seattle. If you can’t find a walk this year in a city near you, you can still donate on the 2 Million Dogs website, or though Tiny Growl’s 2MD fundraising page on the Seattle Walk site. Thank you and Puppy Up! A word of caution, the following post may be hard for some of you to read. On many days, its rough being involved in a business that brings all sorts of news about dogs to my desktop. Yesterday, for instance, I read a horrific story about a poor stray lab mix in Dallas, Texas who, after suffering the fate of being hit by a car and having his legs shattered, was then “rescued” by an animal control officer who tried to force the dog to stand up and walk, and then began to drag it to an animal control vehicle while it whimpered in pain. The Dallas Morning News reported “Seeing that the animal control officer was causing the 55-pound tan-colored dog ‘unnecessary pain,’ (Dallas police Senior Cpl. Joshua) Merkel intervened and helped place the injured dog into the animal control vehicle.” Merkel’s supervisors instructed him not to talk to the media. Sadly, the poor creature had to be euthanized a short time later. If any good news can be found here, it’s that Charles Jackson, the animal control officer responsible for this barbaric act, “has been pulled off the streets after Dallas city officials concluded he acted inappropriately”. Pulled off the streets? Huh? The question that jumps out at me is why wasn’t this monster fired immediately, and what was he doing working in an animal shelter in the first place? And how will he be punished for such a thing? I’m sure that I’m not the only animal lover who thinks that in cases such as this, the old “eye for an eye” punishment, while certainly barbaric, would also be completely justified. What’s going on here? While I want to believe that the majority of shelters across our country are run by caring, compassionate animal advocates, is there something about shelters that attracts a certain type of sicko who enjoys making animals suffer? Are these people hired without any sort of screening, or do those in charge of a shelter with a tarnished record have no regard for the animals themselves? I hope that animal advocates across the country will do whatever it takes to make sure that their local shelters are run as humanely as possible. 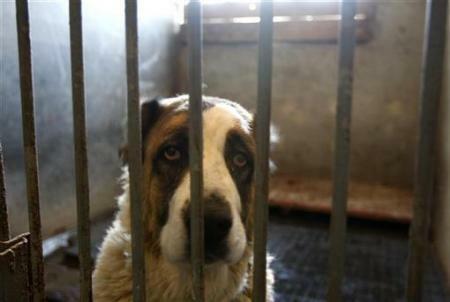 Write to your representatives and ask how shelters and shelter workers are evaluated. If we need to put laws in place to protect these poor animals from their “protectors” then let’s work to make our local politicians to step up to the challenge. I worry about dogs. Let me clarify. I worry about all of the dogs in the world, pretty much most of the time. (Time consuming you might ask? You bet. This tendency of mine is what led me to start my business. *) So, when summer finally arrives in Seattle, I specifically start worrying about people leaving their dogs in their hot cars while they shop in air-conditioned stores. I know, this is a problem somewhere in the world most of the time, but as temperatures rise here, this worry also rises to the top of my queue. Sadly, it seems inevitable that at some point during the summer months you will stumble upon a heartbreaking story of one dog’s death caused by one person’s ignorance. So I was very happy to read a story over the weekend about a “forgotten” dog who saved his own life. About an hour later, Gardner began to hear a car horn honking. Her car horn, in fact. When she looked out her window, she saw Max sitting behind the wheel. Whether he knew what he was doing or not, thank goodness he somehow managed to sound the horn and attract her attention, as it happened to be 90 degrees in Allentown that day. Gardner cooled Max down with cold rags and rushed him to the vet. Fortunately, he was weak, but fine. At 85 degrees, the temperature inside a car, even with the windows open, can become 102 degrees in just ten minutes, and can reach 120 degrees in just half an hour! While a dog’s normal body temperature is slightly higher than ours – 101 to 102.5 degrees, they can withstand a body temperature of 107 to 108 degrees for only a short time before suffering brain damage or dying. If you find a dog in a parked car, who is exhibiting signs of heat exhaustion (heavy panting, gasping for air, weakness, unconsciousness) alert the store manager. Hopefully an announcement over the public address system will bring the owner back to their car and back to their senses. If the owner can’t be found, call the police. If you’re not willing to call the police, staying by the car and observing the pet inside until the owner returns is another option. But remember, the owner might not be the animal advocate that you are. United Animal Nations (UAN) has a fantastic website mydogiscool.com where you can download posters to distribute to your local stores as well as handouts and fliers that you can keep in your own glove compartment, should you ever need to educate the public. If we got managers across the country to place the poster above in store entrances, maybe we can educate a few people and save a few dogs from a horrible fate. * Tiny Growl gives one dollar from the sale of every ScooPup Pocket sold (the world’s best dog poop pick up and carry bag) to animal welfare charities that are making a positive difference. There are a great number of animal advocates out there doing some amazing work. If you read my post on April 24th, you already know about 2 Dogs 2000 Miles, Luke Robinson and his 2000 mile walk from Austin to Boston to raise awareness about canine cancer. 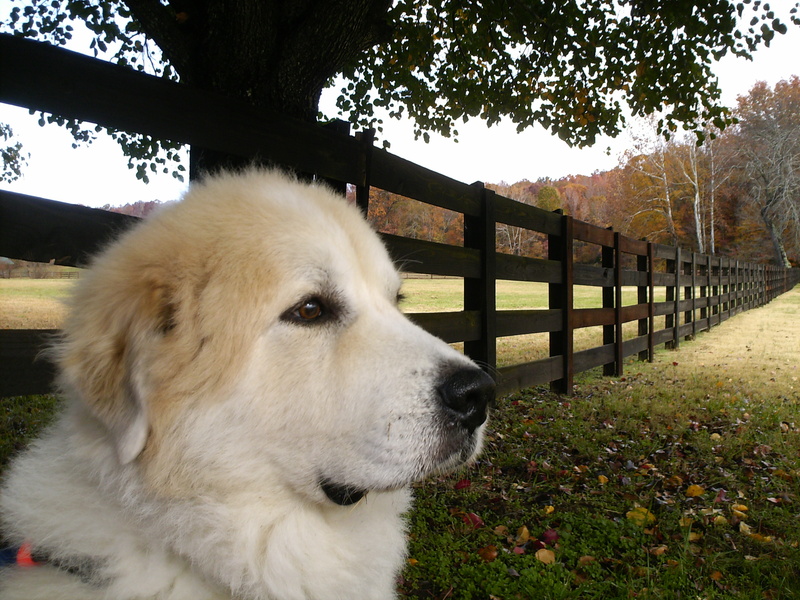 In 2006, Luke lost his beloved Great Pyrenees, Malcolm to metastatic bone cancer. Today while on Facebook, I discovered that one of Luke’s fuzzy butts, Murphy, has just had a growth removed from his neck. With a little luck, it will turn out to be just a benign bump. Shortly thereafter, I read that one of Luke’s biggest supporters, Ginger (who was responsible for helping to get Luke and the boys safely across the country), is herself dealing with the news that her own sweet dog, Pete, has developed cancer. It’s heartbreaking, but one in three dogs will develop cancer. Of those affected, over half will die of the disease. And since dogs (and cats) are exposed to the same environmental risks as humans, they can develop most of the same kinds of cancers. Somewhere between 4 and 8 million new cases of canine cancer are found each year, and are the cause of almost half of the deaths of dogs 10 years and older, according to the American Veterinary Medical Association. Faced with these frightening odds, what can we do? Early detection is vital. Routinely examine your dog for any physical abnormalities. What dog doesn’t love a massage? This is great way to be aware of any new bumps they might develop. Check out any abnormal behaviors as well, and make sure your dog gets his regular veterinary exams. Don’t expose your dog to toxic chemicals. While we still don’t know the underlying cause of many of the cancers in companion animals, the development of cancer can occur in any organism from excessive exposure to carcinogenic agents such as certain chemicals. 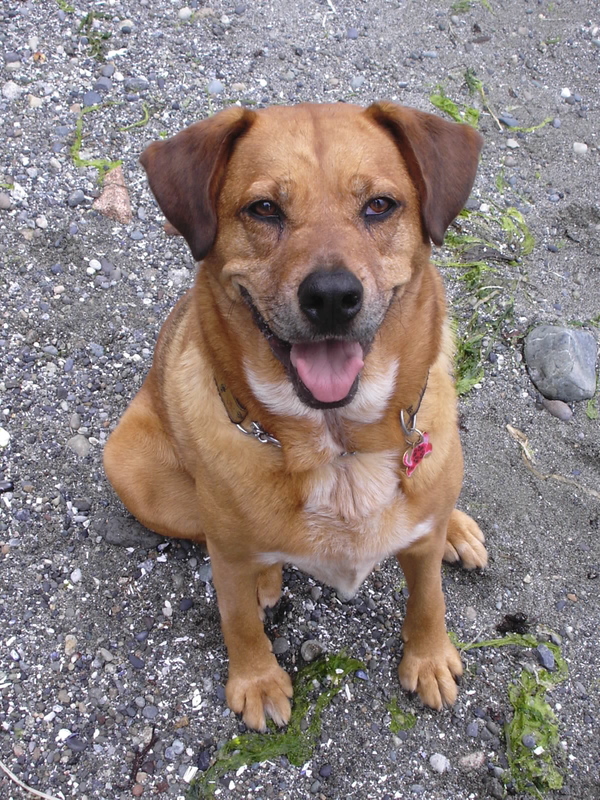 So, just as you would do for yourself, avoid exposing your dog to toxins. Use only organic fertilizers, weed killers and pest killers around your yard. Believe it or not, I don’t even fill Riley’s outdoor water dish from the garden hose, as many hoses contain lead. If you feed your dog kibble or canned food, it should be high-quality. By law, pet food labels must list their ingredients by weight. Look for a species specific meat or meal as the first ingredient, ie turkey, duck, chicken meal, salmon meal. Species specific meats or meals all have high percentage of protein in the form of digestible, usable amino acids. Check the ingredients for protein content and stay away from fillers and food coloring. If you can’t pronounce an ingredient (vitamins, etc., excluded) probably best not to feed it to you dog. And finally, get involved and/or make a small donation. 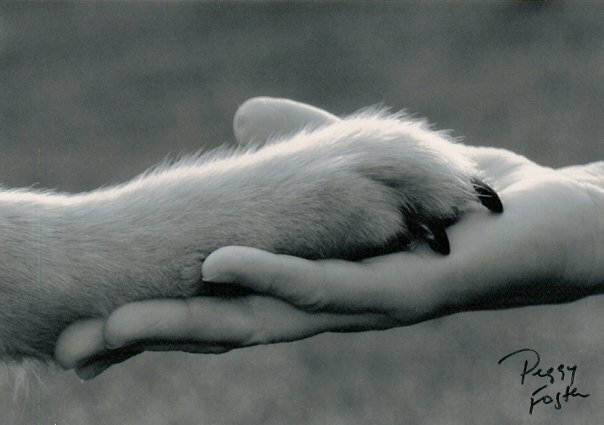 The people at 2 Dogs 2000 Miles would like to know if you have a dog who has had or is currently fighting cancer. They are currently putting together their third “Cancer Can’t Keep A Good Dog Down” Calendar. Starting by collecting photo and stories, which they will publish them online for everyone to see and read. Then the voting begins. Each vote is $1.00 and voting will last for several weeks. The proceeds from the 2011 calendar will again be distributed to university programs and comparative oncology studies, and to continue the educational goals of their own 501c3 organization, 2 Million Dogs. Send 1 digital photo per dog. (You may enter more than one dog.) The photo must be a minimum of 500kb resolution. 1 meg resolution is ideal. They accept .jpg and .gifs. Write a 1 paragraph story about your dog, 1000 characters or less. 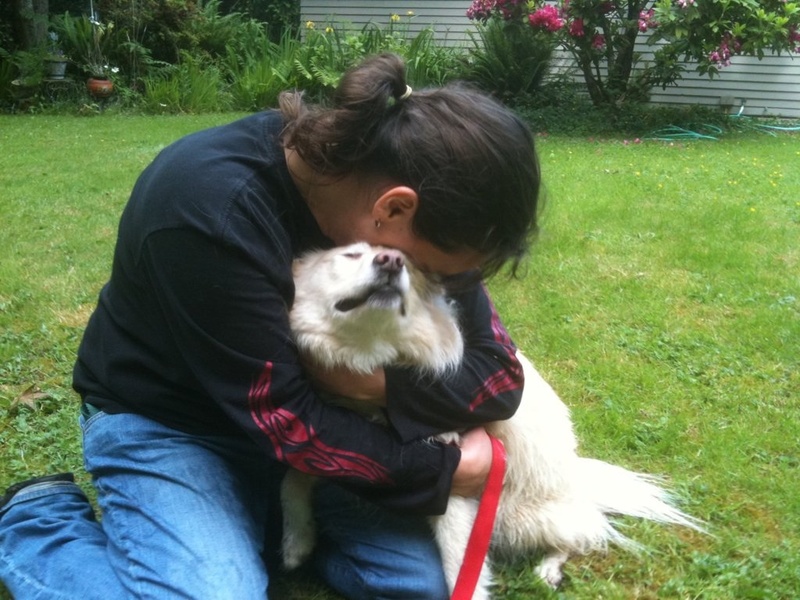 Include the name of your dog, your name, and your email and send your submissions to: calendar2011@2dogs2000miles.org. The deadline is, July 31, 2010. If you have any questions, please email: erich@2dogs2000miles.org. And remember, when dealing with cancer, indeed any kind of illness or injury that might happen to our dogs, remember that they live in the moment, with no fear of the future. It’s up to us to make each one of those moments as happy and as filled with love as we possibly can.